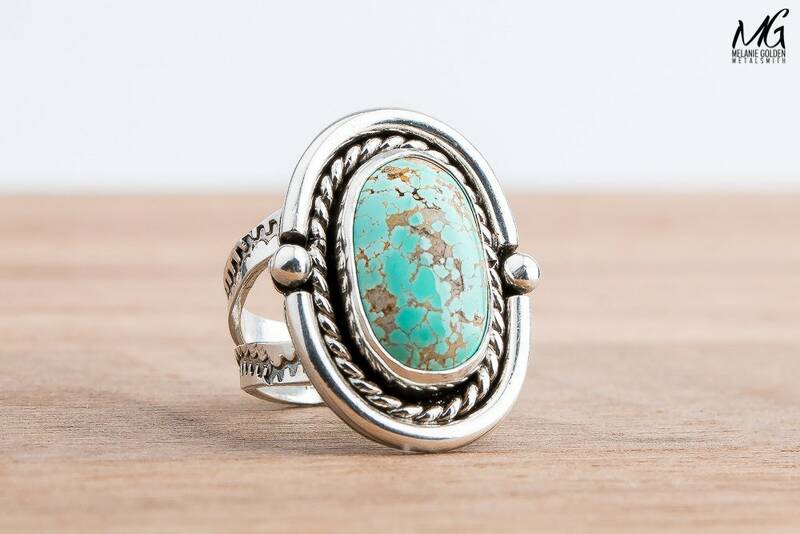 - Ring is size 7.5. 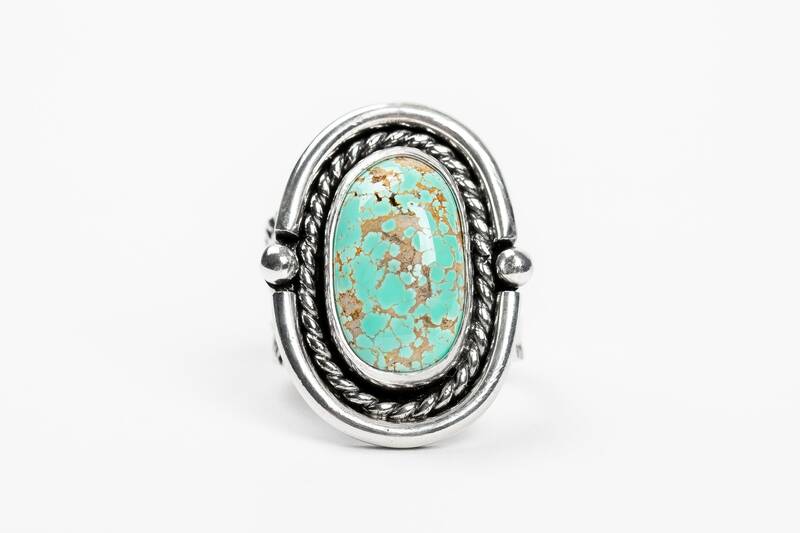 - Turquoise measures 10mm x 17mm. 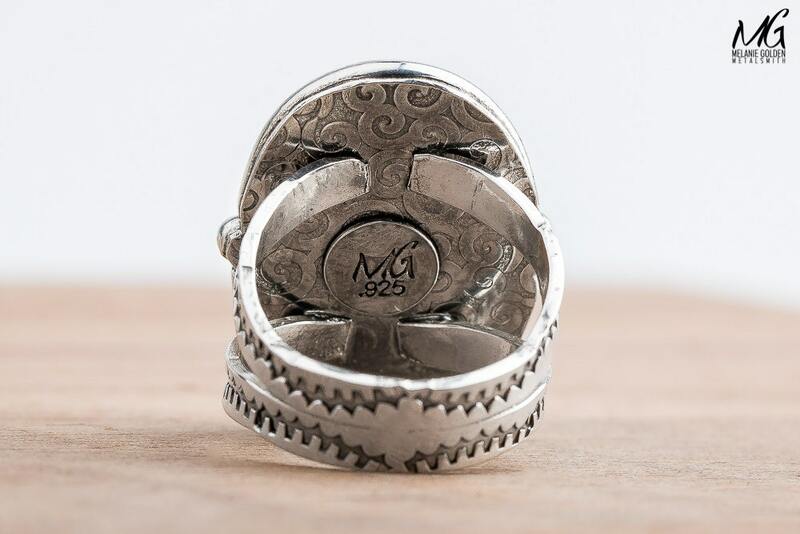 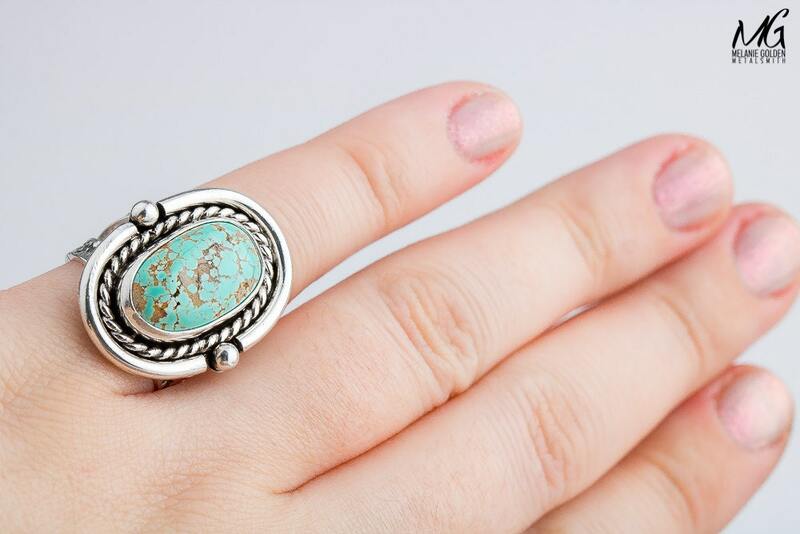 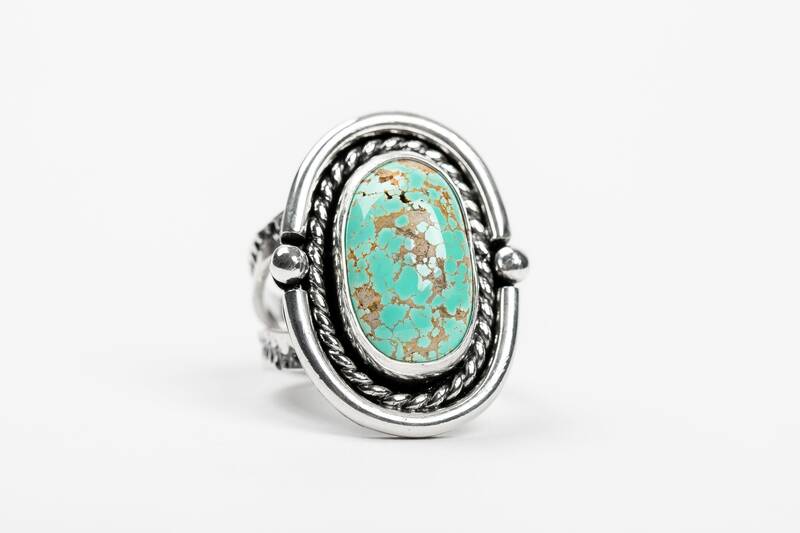 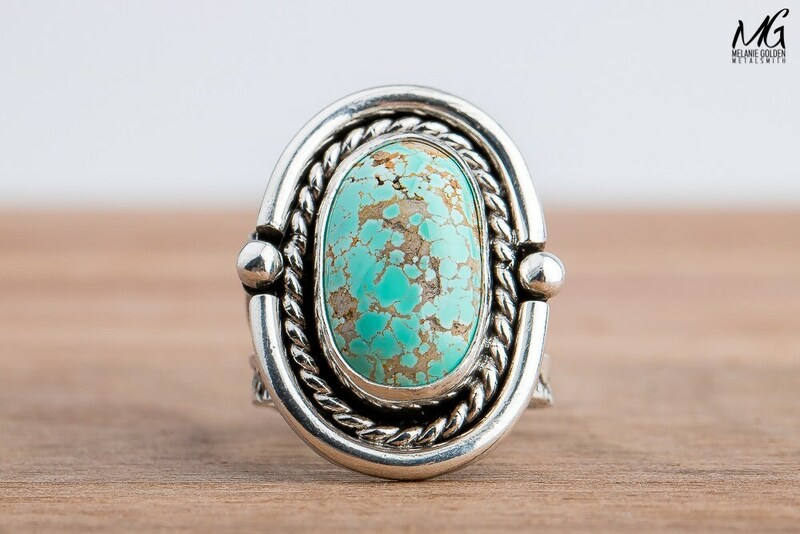 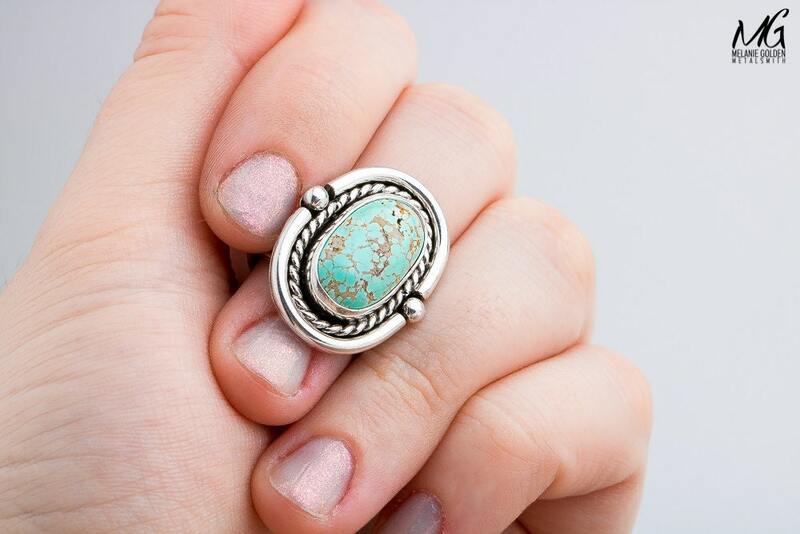 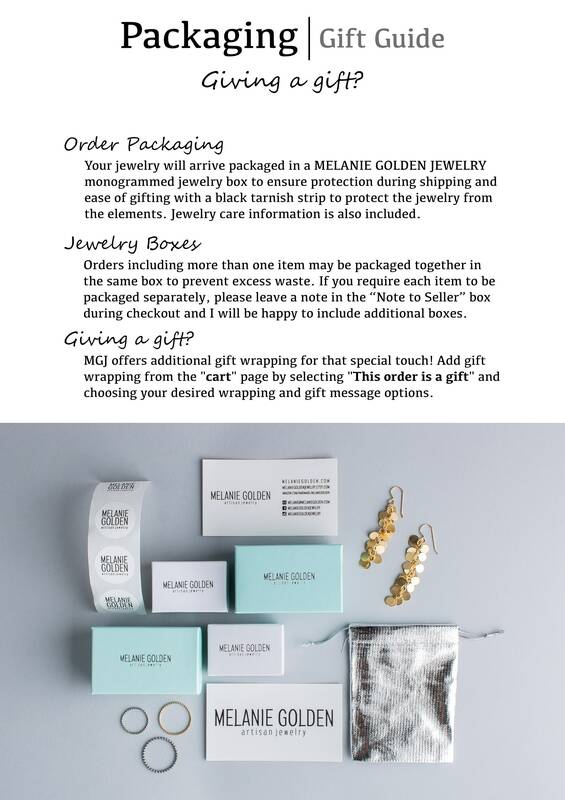 - Ring is made entirely from solid Sterling Silver and a natural Carico Lake Turquoise gemstone.